Morality is not a consolation prize in the Catholic Church…a sort of additional benefit you get if you want to apply for it. No, Catholic morality is the very heart and soul of the Gospel, indeed, it is the very joy of the Gospel. In the preaching of Jesus the critical importance of morality is emphasized from the beginning of his ministry. Jesus may very well have met people “where they are,” in some sense of that phrase, but only to point them in the direction of living profoundly by the moral Gospel. Thus, in his famous Sermon on the Mount (Matt. 5-7), preached at the commencement of his ministry, Jesus lays out a “manifesto” which is “a compendium of the moral code of Christianity” (Catholic Bible Dictionary, page 828). “He teaches on anger, adultery, marriage and divorce, oaths, retaliation, love for enemies, and alms-giving” (Id at 828). The fundamental importance of the moral life is firmly established – sometimes very dramatically – in the preaching of Jesus. The beatitudes themselves represent the very highest moral perfection attainable in this life. The Gospel is a call to holiness which will ultimately result in your complete and utter sanctification in Heaven. Therefore, there is no Gospel without the moral Gospel. To preach the Gospel is to preach holiness of life in imitation of Jesus and the Saints. To peach the Gospel is to preach a break with sin and a new life of grace in Christ. To preach the Gospel is to lead sinners to repentance. When we first hear someone preaching the Gospel, what do we hear: “Repent, for the Kingdom of God is at hand” (Mark 1: 2-4). Saint John Paul II also reminded us that God’s Mercy is given to us to forgive, not justify, sin. Our children deserve to hear the full Gospel – that is to say they deserve to hear the Gospel preached without neutering its moral imperative. There is no Gospel without the moral Gospel because Jesus came to save us from sin. “Here is a trustworthy saying that deserves full acceptance: Christ Jesus came into the world to save sinners….” (1 Timothy 1:15). Note: The panoply of virtues and gifts given to us in baptism, which flow from sanctifying grace, are supernatural strengths with which to lead a moral life. 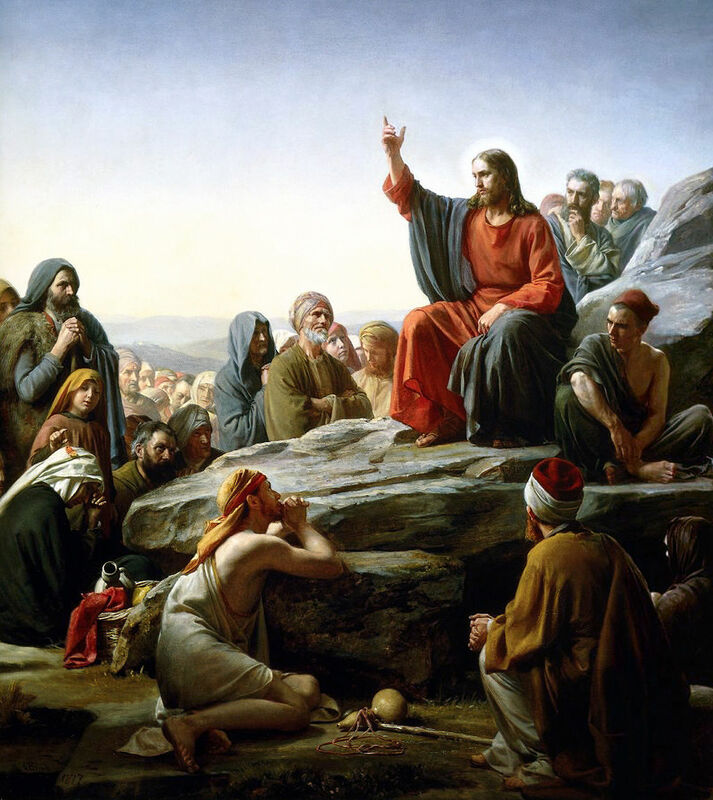 Image: Sermon on the Mount by Carl Bloch, Public Domain, U.S.A.